Cars are very important as well as they are useful. It also involves a huge investment, which is why it is very important to preserve its value and maintain the safety it brings to us when we use it. It is because of this that we actually know that car repair is very important. However, before you go to any car repair shop in Las Vegas, there are certain things that you need to know and check. 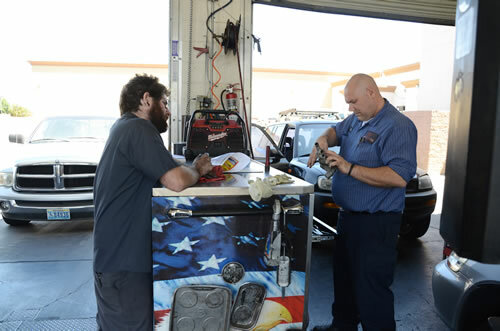 Here are some things that you need to assess before bringing your car to any car repair in Las Vegas. Double-checking the extent of the damage will help you decide whether you can drive the car down to the repair shop or just call the shop and have the car towed for repair. This will ensure your safety as well as prevent any unnecessary damage to the car. Before allowing the repair shop to take care of the damages of your car, it would be wise to contact the insurance company first so they inspect it and see what cost they can cover. It is totally fine if you go from shop to shop and ask for their estimate cost in relation to the damages that your car has incurred. You can compare these estimates as well as the services that will be provided so you can be sure that you are getting your money’s worth while also ensuring that the car is getting the proper repair it needs. 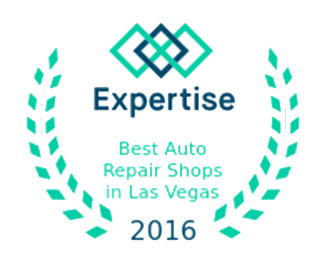 Though some auto repairs in Las Vegas offer less cost or estimate for repairs that they do, you must not accept the offer right away. You must also take time to visit their car repair shop so you can assess how they work on cars as well as what tools and equipment they use for repairing cars. Some offers may come off as bit too expensive, but if they have modern equipment and skilled mechanics, your car will have better chances of getting quality repair with them. This is basic. If the company has been in the business for a lot of years, it is most likely that they have many patrons who are satisfied with their service. Alongside knowing their business age, you can also do a little survey around the area, you so can assess if their customers are satisfied. If they have a website or social media page, you can also check on that to see if there are any negative reviews. If you are looking for a trusted name in car repairing services in Las Vegas, you can check out carrepairvegas.com. Simple but clear tips that are worth noting! We should really check the reputation of the car repair company before doing business with them so that we won’t fall into the wrong hands. It might require us some time in checking nearby car repair services companies, but once we find the right one, we will stick to it and be pleased with their services every now and then. When a friend of mine went on a 2 week vacation to Las Vegas, his rental car broke down. This made it hard to go to and from where he needed. He was also there visiting family so it was an issue. The rental service told him he is fully responsible for paying the bill and they will take it to “their” garage. What happened? Well, their so called “garage” charged him for things that weren’t even wrong with the car and blamed him for it. He actually is a mechanic and they had no idea he was. Needless to say, vacationers need to really be aware of scams like this. That’s definitely one thing I will never take for granted when choosing any car repair shop for my car. I will make sure I take my time in doing my background checks before trusting them with my car. Though it may look stressful, but trust me, it’s absolutely a pain worth taking.